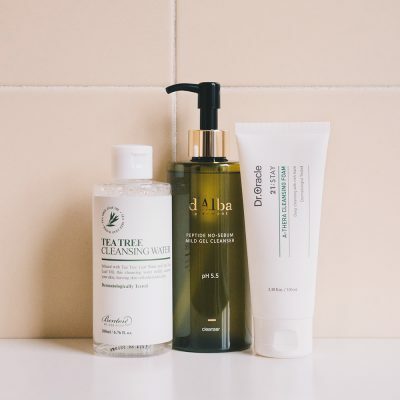 In our extensive guide to double cleansing, you’ll easily be able to figure out which oil cleanser and water-based cleanser you need to fit your skin concerns and skin goals. 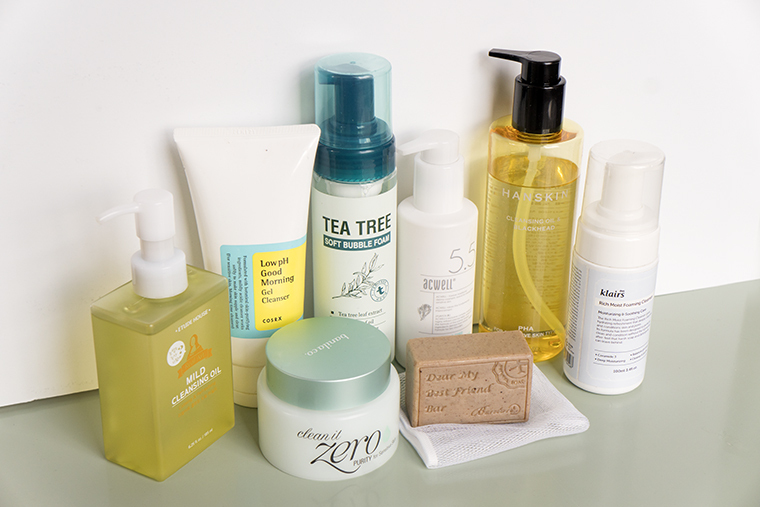 Double cleansing is at the very heart of the Korean 10-step skin care routine. Arguably the most important step in the routine, it often gets a bad rap because people aren’t super keen to putting oils on their face. But the double cleanse is critical in removing all the impurities from your face and prepping to apply the rest of your products. 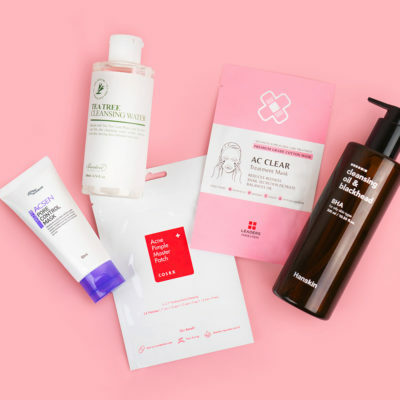 Since this step is the very backbone for the K-beauty routine, we’ve compiled the best products you should be using to cleanse based on your skin concern. When you have acne, the feeling of putting additional oil on your face is the worst. Like actually, the worst. But that doesn’t mean you should be skipping the double cleanse. In fact, those with acne-prone skin should definitely be double cleansing with an oil cleanser in order to rid skin of acne-causing excess oil and oil-based impurities. The Banila Co. Clean It Zero Purity, Hanskin Cleansing Oil & Blackhead [PHA], and Etude House Real Art Cleansing Oil Mild are all great options that won’t feel too heavy on your skin but will still get the job done. 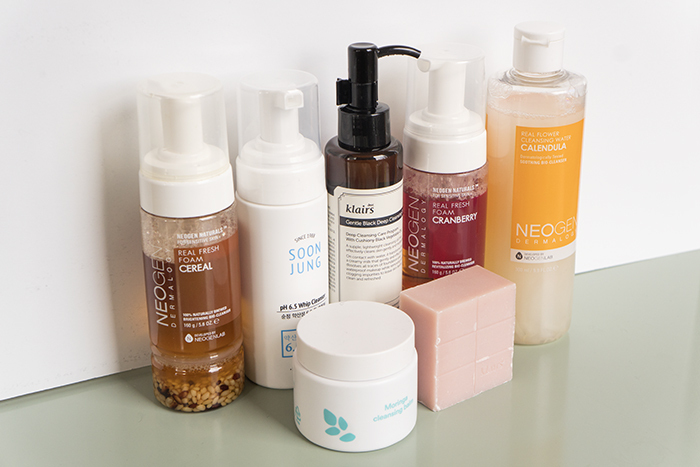 Follow up with any of these water-based cleansers: Benton Dear My Best Friend Bar Soap, Dr. Oracle A-Thera Cleansing Foam, Acwell Bubble Free pH Balancing Cleanser, COSRX Low pH Good Morning Cleanser, Klairs Rich Moist Foaming Cleanser, or the Skinfood Tea Tree Bubble Cleansing Foam. 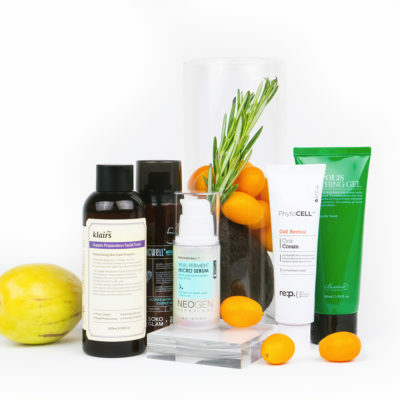 They all contain acne-fighting ingredients like BHAs, witch hazel, and tea tree oil to amp up the acne fighting power, as well as soothing ingredients like avocado oil, hyaluronic acid, and aloe leaf to give your skin the TLC it deserves. Fun fact: Using an oil cleanser can actually reduce the appearance of fine lines and premature aging over time. Why? Because oil cleansers contain fatty oils to plump up and deeply hydrate. But not all oil cleansers are created equal. If your primary concern is anti-aging, consider trying the Banila Co. Clean It Zero Resveratrol, Missha M Perfect BB Deep Cleansing Oil, or the Erborian Solid Cleansing Oil. These oil cleansers contain super hydrating and collagen-boosting ingredients for bringing back that plump, youthful skin. For your water-based cleanser, try out the Neogen Real Fresh Foam Cleanser in Blueberry or Green Tea, the E Nature Marshmallow Cleansing Foam, or the Neogen Real Fresh Green Tea Cleansing Stick. 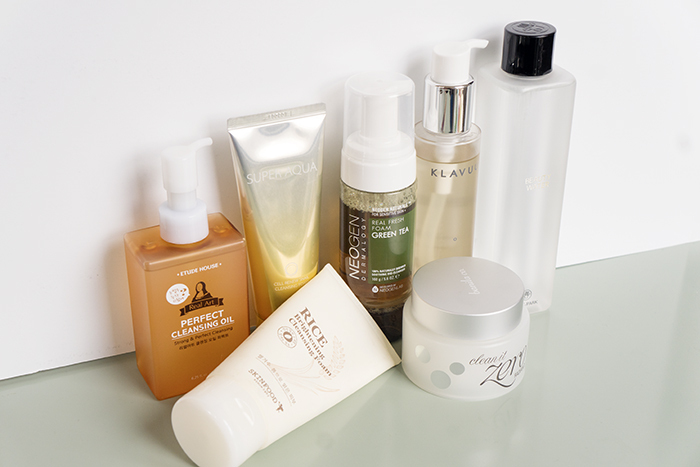 Any of these cleansers will lift impurities, and restore your skin with vitamins and nutrients to restore youthful glow. The best (and only real way) to make it look like your pores are smaller is to make sure that you’re keeping your pores clean and free of impurities. This is the only way to make your pores appear smaller, long term. So it’s doubly important that you’re remembered to double cleanse. Start off with the Banila Co. Clean It Zero Classic, Klairs Gentle Black Deep Cleansing Oil, or Etude House Real Art Cleansing Oil Perfect. These oil cleansers penetrate deep into the skin to get rid of any of those oil-based impurities, including excess oil to leave your skin feeling clear and refreshed. For your water-based cleanser, check out the Erborian Black Soap, Skinfood Egg White Pore Foam, or the Klavuu Pure Pearlsation Marine Collagen Micro Cleansing Water. These water cleansers will lift any of that excess oil and greasy feeling from your skin whilst still sweeping away any water based impurities to leave your skin cleaner and your pores looking and feeling healthier. 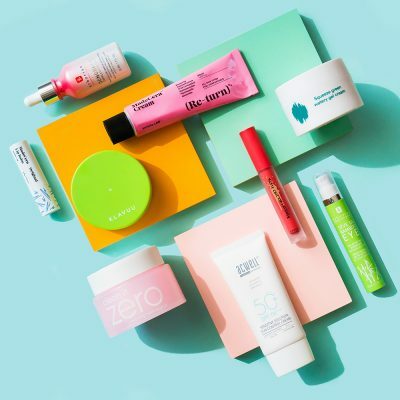 If your primary concern is dryness, then you’re in luck, because most oil cleansers will provide the necessary boost of hydration that you’re looking for. To actually target dryness, start out with any of these cleansers: the Banila Co. Clean It Zero Classic or Clean It Zero Radiance, or the Etude House Real Art Cleansing Oil Perfect to ensure that your skin is ready to take in and keep in moisture. Follow with the Klairs Rich Moist Facial Soap, Erborian Black Soap, Missha Near Skin pH Balancing Cleansing Foam, Neogen Real Flower Cleansing Water in Rose, or the Etude House SoonJung pH 6.5 Whip Cleanser. 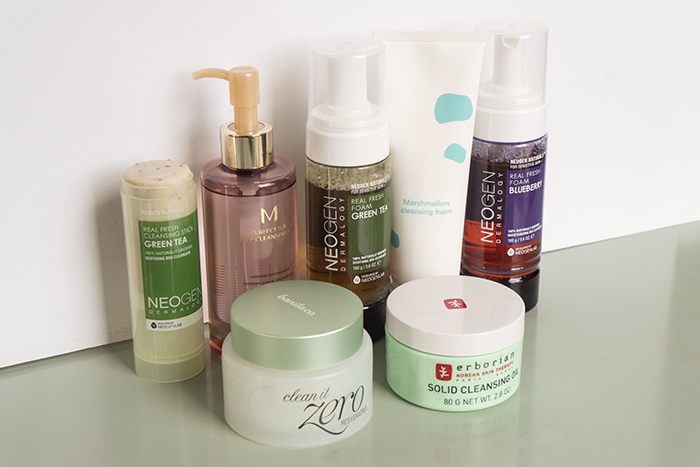 Any of these cleansers will provide your skin with a burst of hydration and won’t leave your skin feeling tight or taut. Remember that no cleanser should ever leave your skin feeling tight. Instead, after double cleansing, your skin should feel refreshed and ready to be pampered with the rest of your products. 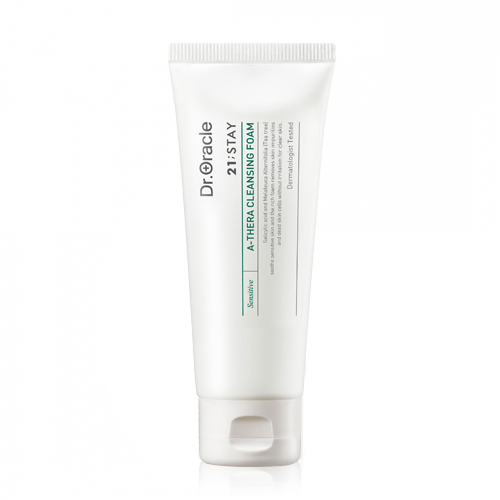 Excess pigmentation is one of the most common skin concerns, but did you know that you can combat it with your double cleanse too? Yup. Try out the Banila Co. Clean It Zero Radiance, the Klavuu Pure Pearlsation Divine Pearl Cleansing Oil, or the Etude House Real Art Cleansing Oil Perfect. These oil cleansers contain brightening agents like pearl, grape root, and moringa. After, use the Son & Park Beauty Water, Neogen Green Tea Foaming Cleanser, Skinfood Rice Brightening Scrub Foam, or Missha Super Aqua Cell Renew Snail Cleansing Foam. These cleansers contain ingredients that either gently exfoliate, promote cell turnover, or increase brightening, to get rid of that excess pigmentation quickly and gently, whilst still cleansing and hydrating. 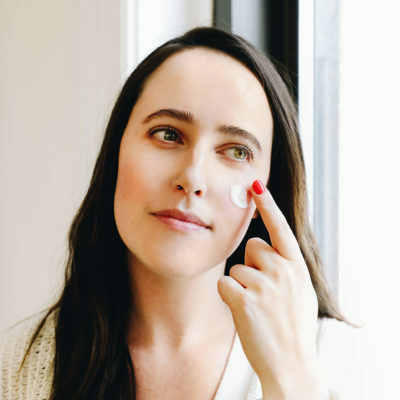 Oil cleansers are generally pretty gentle, but if you have sensitive skin, you still probably don’t want to put just anything on your face for fear of any irritation. The Klairs Gentle Black Deep Cleansing Oil and the E Nature Moringa Cleansing Balm are mild oil cleansers that are perfect for sensitive skin. 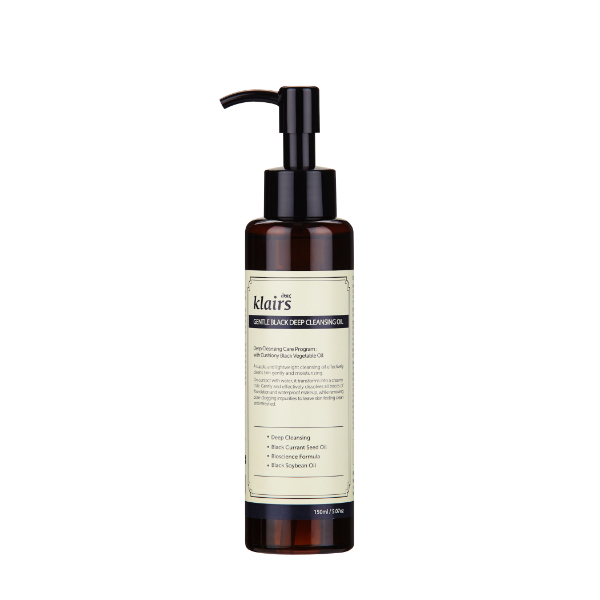 The Klairs oil is hypo-allergenic and formulated primarily with vegetable oils, while the E Nature balm, like all E Nature products, is free from major potential irritants like animal ingredients, parabens, mineral oils, and artificial fragrance. For your water cleanser, you want to focus on cleansers that will gently wash away any impurities that still rest on the skin. Try out the Klairs Rich Moist Facial Soap, Neogen Real Fresh Foam Cleanser in Cereal or Cranberry, the Neogen Real Flower Cleansing Water in Calendula, or the Etude House SoonJung 6.5 Whip Cleanser. These cleansers will lightly wash away any impurities without stripping away any of your natural oils to leave your skin feeling hydrated, balanced, and soothed. Chances are, if you hate your double cleanse, you probably just haven’t found the right products! 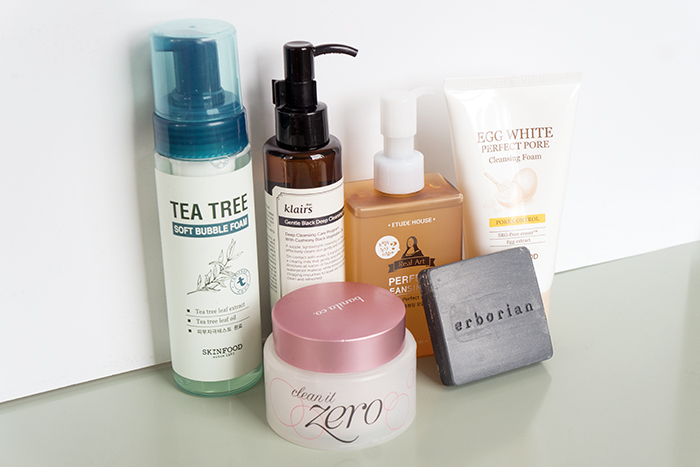 Check out our guide to double cleansing to change your mind. Whatever your skin concern, the double cleanse is an irreplaceable step in the Korean beauty routine, and there’s a double cleanse pair that’s perfect for you! 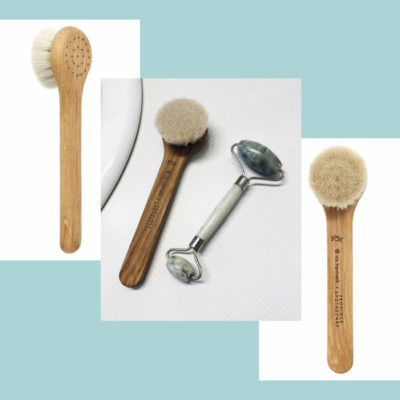 + What is your favorite double cleanse pair? Let us know in the comments!